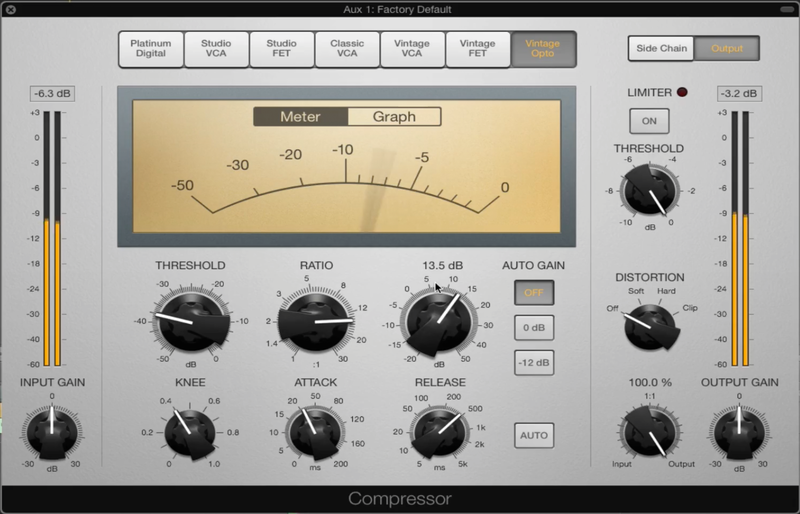 This tutorial is about compression settings and routing options but specific for drums. Known as New York style compression, or also known as, Parallel Compression, this is based upon running two different tracks in tandom, or parallel in your mix. We take a look at how this is done, and cover some best practises over what you need to do. This technique can work on any type of drums, but live recorded drum performances will really benefit from this approach. The idea of parallel compression is straight forward, in that it ensures that the dynamic range of the original audio is preserved, while at the same time the audio is also processed heavily through compression on a separate track. Although the results can be very powerful, it takes a subtle approach and decent understanding of the tools involved to achieve the sound you’re after. A common mistake is using setting the attack parameter to be too short, which does not allow all of the transients through. And if you’ve been making modern music for any length of time, you’re probably aware that transient are essential for drums and their ability to cut through the mix properly.